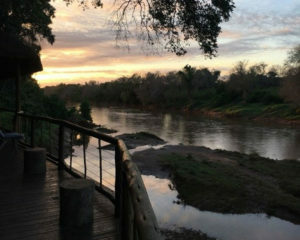 Pafuri is known for its amazing bird life, walking safaris and dynamic landscapes. The rare Pel’s Fishing Owl and elusive leopard are often seen, providing great excitement to all- especially the bird lovers and cat lovers respectively. 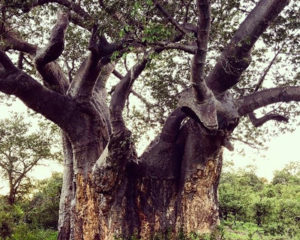 Pafuri is also home to the oldest baobab tree in the Kruger National Park-at a staggering 1004 years! 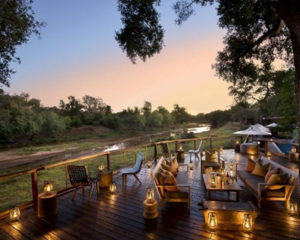 “Return Africa Pafuri Camp” and “The Outpost” are two of my favourite lodges in the area. While each is unique in its own way, they both offer exceptional experiences in terms of walking, birding and safari excursions. Sightings of lion and rhino can be rarer in the northern Kruger, but walking tours offer the chance to admire the abundant elephant and buffalo herds- up close! 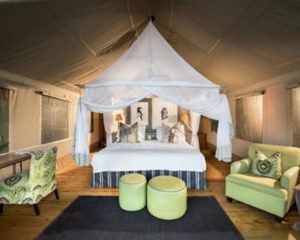 “Return Africa Pafuri Camp” has 19 luxury tents located right on the Luvuvhu River. 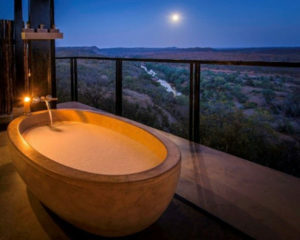 “The Outpost” has 12 suites and is found high up on a mountain and features unparalleled views over the river. 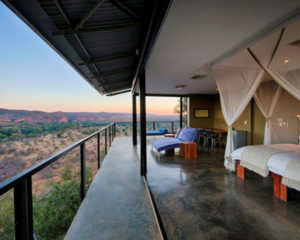 “The Outpost” has a sister lodge called “Pel’s Post” just a few kilometres away, which can be hired for exclusive use. This is a good option if you are travelling with children under 10 years as “Pel’s Post” takes children of all ages while “The Outpost” only accepts children 10 years and older. All the lodges offer gourmet meals, warm and welcoming staff and a great overall experience. 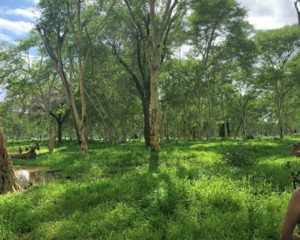 Is Pafuri an area that you would like to explore? 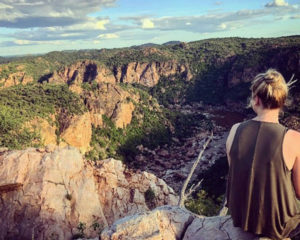 Get in touch Melanie for some ideas on how to incorporate this into your next South African itinerary.